In learning within a school system, when an academic year comes to an end, the process never stops but t he level at which one peruses a specific area of study or acquires a certain class of qualifications comes to an end. And those who are fully committed in undertaking various studies graduate with flying colours as they look forward to impact their work environment whether it is in the public service, private sector or as individuals to meet their objectives to be successful in business and respective professions. The School of Business and Public Policy (SBPP) at the University of Papua New Guinea is today regarded as the ‘engine room’ of the primer university for its quality education, in terms of skills, knowledge and qualifications that are applicable in today’s workplace environment both internally and on the external (overseas) markets. Secondly, this is the only school that generates the highest revenue collection for UPNG in terms of boarding and tuition fees for a single academic year. This school has a short history when it first started in 2000. Currently it has 14 disciplines and they include nine undergraduate programmes and four masters programmes. Within the masters programme the school offers the Masters of Business Administration (MBA), Masters in Economic and Public Policy, Masters in Strategic Management and Masters in Business Policy. 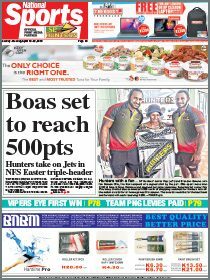 Among the prominent leaders and top executives and managers who have enrolled at the school of BSPP are Prime Minister Peter O’Neill and the Leader of the Opposition, Patrick Pruaitch. 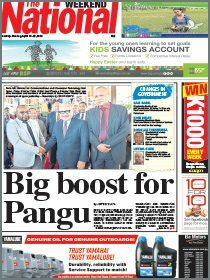 Others include Finance Minister James Marape, Chief Commissioner of PNG Customs Ray Paul, Auditor-General Gordon Kage and others who occupy top management positions within the public service and the corporate sector. The school currently provides courses in conjunction with other top performing university around the world such as the Australian National University (ANU). One of the founding academic members of the school and current executive dean, Prof Lekshmi Pillai outlined that the strategy behind their success was to review their courses and learning materials every three years to meet the current workplace demands and challenges. “We do not want to be left out of the ‘boat’ and it is our passion and desire to be part of and bring solutions to the current business, management and economic world,” said Prof Pillai. The humble and soft-spoken executive dean of the school further said the school made sure that the above important tools were carefully monitored towards their progress and implementation. He said these strategic tools were active and worked parallel to each other so that the maximum could be gained in outcomes and objectives. Every course facilitator/lecturer is highly qualified holding PhD qualifications in various disciplines and are from different countries like India, Australia, Philippines, United Kingdom, United States and others. And within a timeframe of just over 15 years, this school has grown to be not only seen as ‘engine room’ for UPNG in terms of its size and revenue collection but has proven to be the top performing school through its masters programme within the South Pacific and the region where only the top managers and executives have come and graduated from here. When it comes to end of every academic year, it has been always a tradition for the school to showcase and host what is called a ‘pinnacle night’. This is a very exciting and important moment in the calendar of the school year where students demonstrate their skills level and knowledge they have acquired at the masters level during the term of their studies. During this one-day event, debates and quiz sessions among top students are arranged from each of the disciplines with MBA students taking the lead. Also during this time, the representatives of large corporate organisations like the BSP, Oil Search, Department of Finance and various other key government agencies as well as foreign government representatives become guests and audiences to this important event. This year’s Pinnacle is planned for Nov 13, and is expected to conclude in style at one of the major hotels in Port Moresby with a gala dinner and presentations to the top performing individual students and groups from various disciplines. The writer is a final year MBA student at UPNG.